Easily let the nice weather in with the Sunrider for Hardtop for the Wrangler JL vehicles. 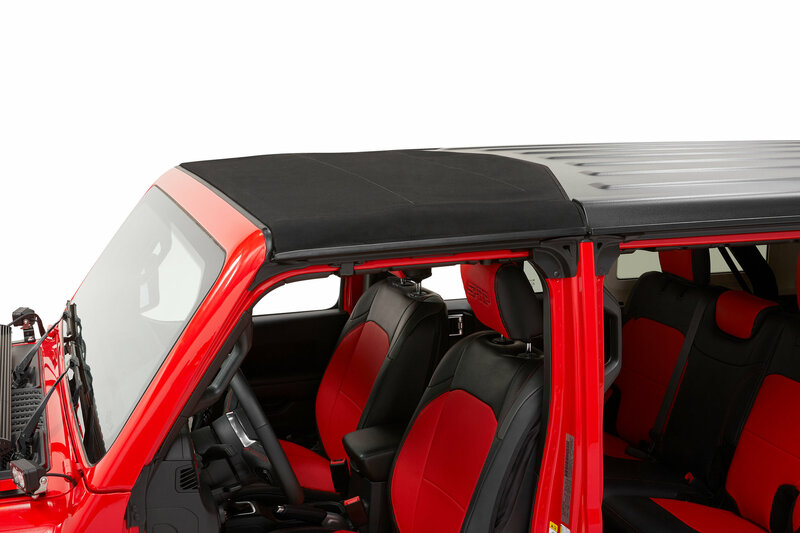 This Sunrider feature top replaces the bulky factory Freedom panels with a waterproof, heavy duty Twill soft top material that is great to run year round! The Sunrider for hardtop installs to the vehicle with no drilling or modifications, and all of the necessary hardware is included for the installation. This innovative design allows you to flip back the front section on a nice day, exposing the sky right from the comfort of your front seats! 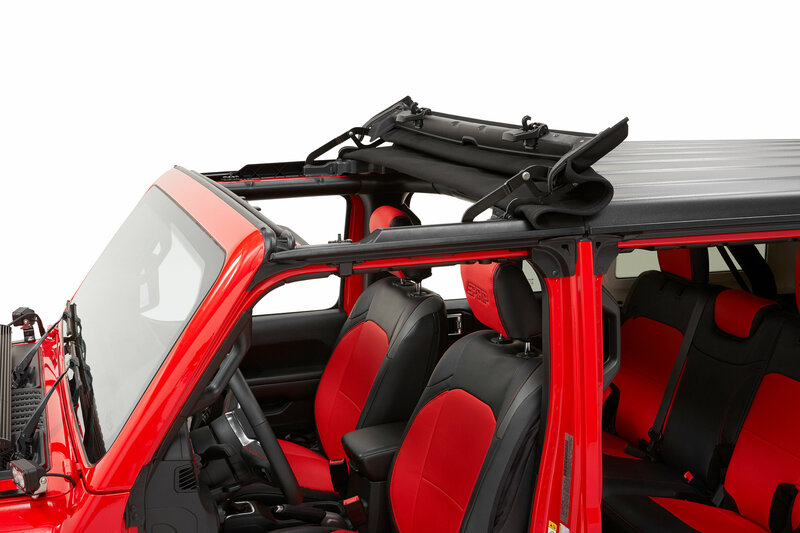 Quickly and easily pull the top forward and latch into place when you need to be covered. 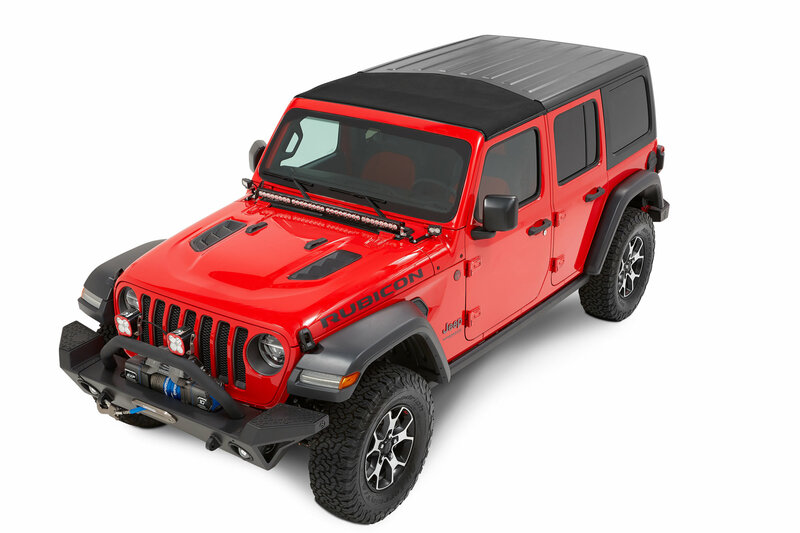 This item fits all Wrangler JL 2 and 4 Door vehicles, as well as The Jeep Gladiator JT. 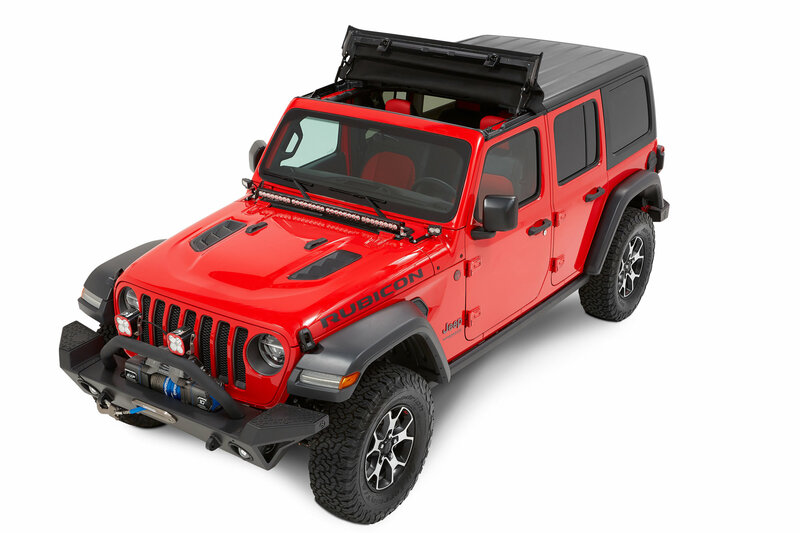 High Quality Materials: This Sunrider for Hardtop is available in your choice of 30 oz. Twill ultra premium soft top material, or 28 oz. premium material. Both are waterproof, quiet, and built to last in any type of environment. No Hassle Installation: This item is completely assembled, and installs to factory mount locations with no drilling or modifications to the Jeep. 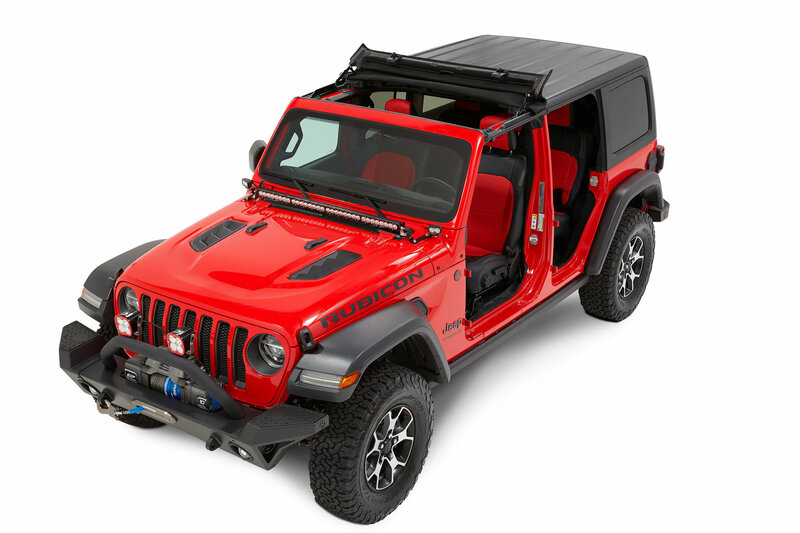 Replace those bulky freedom panels on your Wrangler JL hardtop with this easy to use Flip Back Sunrider replacement! Easy To Use: Simply reach up and unlatch the front section of the Sunrider, and flip it back the enjoy the open air! Reverse this process easily to be covered again. All of this can be done from your seat. Easy to install, about 20 minutes. All the parts worked fine, not sure about the M8 issue noted in other review. Driven at interstate speeds without straps and no issues other than is does catch some snow; but I am in Maine. Love it much better than the T-tops as you never have to leave the seat if you’re tall enough. This is a solid bolt-on component that only takes about 30min to insall with (8) T-40 hex bolts. The product comes without any torx tool so be prepared to have a T-40 hex bit and/or wrench. I have driven with this product open on the highway going 80-90mph with little to no flapping on a windy day. Issue #1: The product came with (6) M8 1.25 20mm screws which are simply too short to thread through the Bestop frame > jeep frame. I ended up having to go to Home Depot to and purchasing some M8 1.25 30mm screws which were the perfect length. To me, for $800 I shouldn't have to go buy additional hardware to make the product work. There is simply no way to thread the short screws through no matter what level of force used to shorten the gap. Otherwise the install went like a breeze. Once the 30mm screws were installed, the product is very sturdy. Issue #2: It comes with velcro straps that must be used to ensure that wind doesnt catch it and attempt to open it mid-driving. To me, at this pricepoint there should be a more thoughful design to secure the hinges than velcro. I mean come on, that's like sending a product with a roll of duct tape. - Be sure to cinch down the hinges with the velcro straps very well and you will get less road noise and less flapping. - Go buy (4) M8 1.25 30mm flanged bolts (https://www.homedepot.com/p/The-Hillman-Group-M8-1-25-x-30-mm-Internal-Hex-Button-Head-Cap-Screws-8-Pack-44491/204786369). You will need these during installation guaranteed. Hands down the best upgrade to my JLUR period. 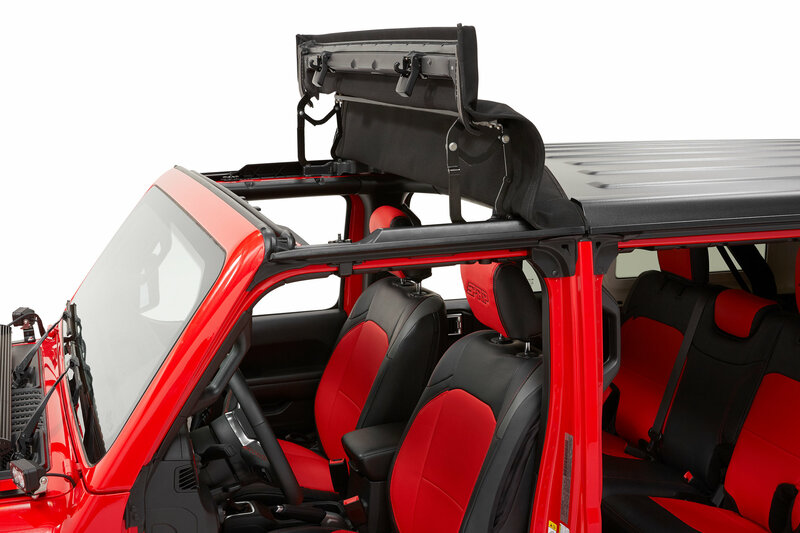 If you like the open-air feeling you get removing the hard top freedom panels, but don't like stopping to remove / reinstall them then this is for you! If you're on vacation and struggle to find a place to put the freedom panels, this is for you! 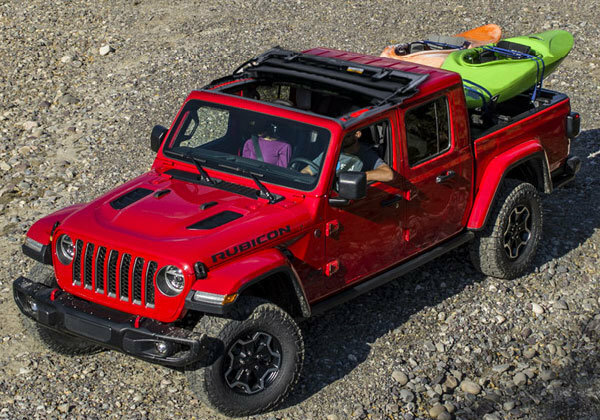 Installation is very easy (helpful if you have a 2nd person when fitting it onto the Jeep) and there are plenty of helpful videos out there to familiarize yourself with the process. Once fitted it's secured by 2 clamps in front that are VERY secure. Opening and closing is a 15 second procedure (if that long). 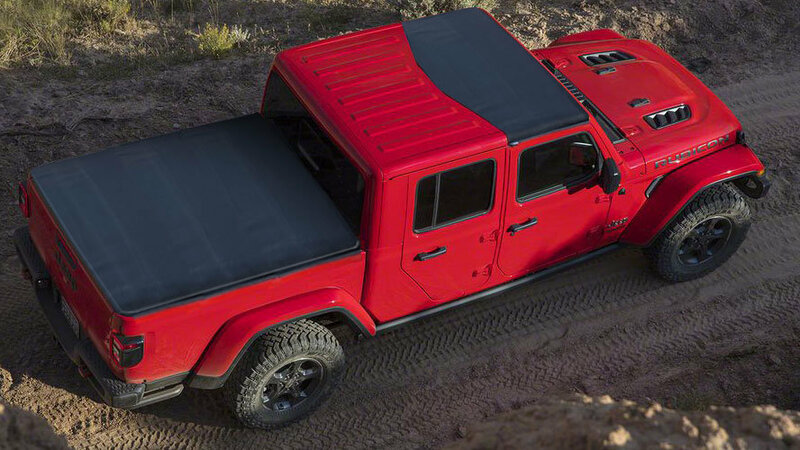 For me it's the best of both worlds between the freedom of a soft top and the security of a hard top. And you can never go wrong purchasing from Quadratec, great prices, fast shipment and excellent customer support.